Today is a Storm5Alert day as two rounds of storms look to take aim for the mid-state. Round one is expected between 5am-noon Sunday with a risk for damaging straight line wind, hail, and some isolated tornadoes are possible along a squall line. Round two comes Sunday afternoon ahead of a cold front. Round 2 is expected between noon and 6pm Sunday with isolated strong to severe storms possible with hail and damaging wind the main threat. 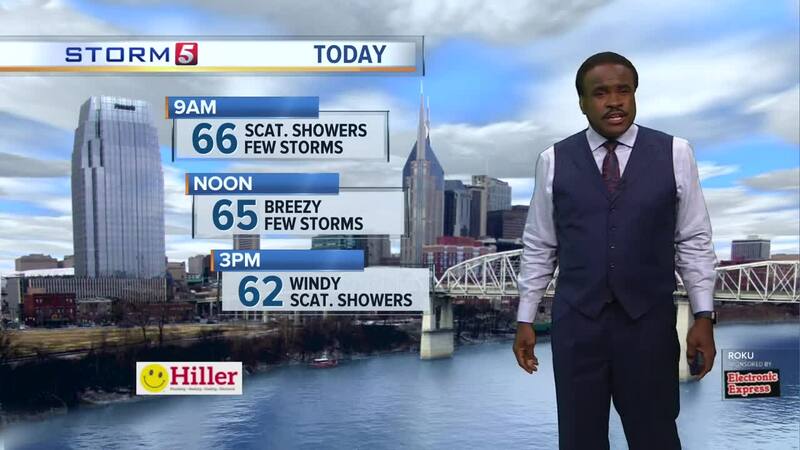 NASHVILLE, Tenn. (WTVF) — A Storm 5 Alert has been issued for Middle Tennessee ahead of possible severe weather this weekend. 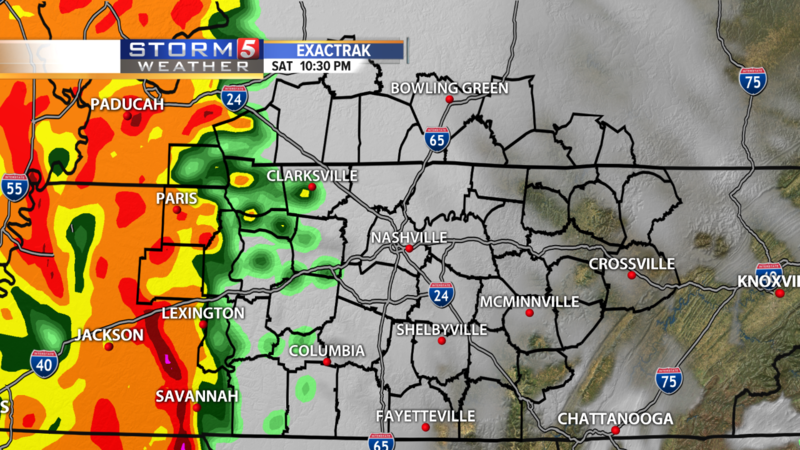 Three rounds of storms could move through the region. The first round will move through early Saturday morning, bringing rain and thunderstorms but this system is not expected to be severe. 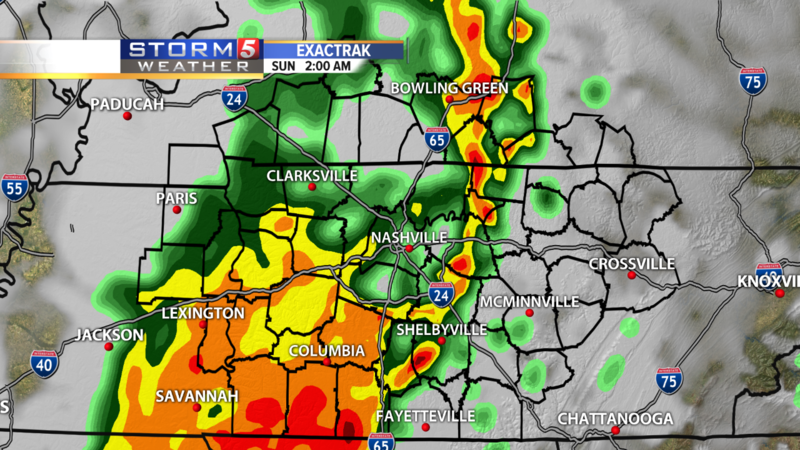 The second round of storms is likely to push through the area Sunday morning between 5 a.m. and noon, and could bring with it damaging wind and possible hail. The third round is expected to hit Sunday afternoon between noon and 6 p.m. They will be more isolated in nature but will also bring a risk for damaging straight line wind and large hail. The Storm Prediction Center has the Interstate 65 corridor in a slight risk for storms, while areas along the Plateau are under an enhanced risk. At this point, damaging winds and large hail are the main threats, but tornadoes can’t be ruled out. As for Saturday’s Nashville Predators game, we can’t rule out a shower around puck drop but overall, we will be dry and cloudy through the game for folks watching in the plaza. Stay weather aware by downloading our Storm Shield app in Google Play or Apple Store or keeping an eye on the live radar .